CCW Permit Instruction is now offering Courses to obtain a California CCW Permit for residents of Orange County, San Diego County, Venture County and Santa Barbara County. 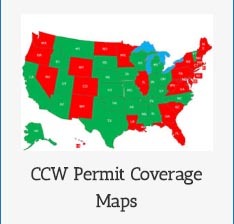 Multi-State CCW Permits are valid in over 30 states. When combined with the California CCW Permit, you can Conceal Carry in 35 states. To see where your Multi-State CCW Permits are valid, especially when combined with the California CCW Permit, which 35 states you can Conceal Carry. 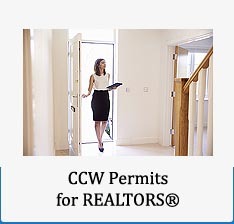 We also offer customized California Concealed Carry Weapon Permit Courses for REALTORS® that are residents of Orange County. 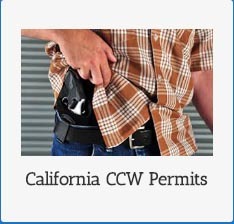 CCW Permit Instruction conducts comprehensive training courses for obtaining a California Concealed Carry Weapon Permit for residents of Orange County, Ventura County, Fresno County and Madera County. CCW Permit Instruction not only conducts the highest caliber of professional CCW Permit training, we also guide you through the entire CCW Permit process, from making your initial appointment with the Sheriff’s Department, right through to the qualification for the handgun(s) that you will have listed on your California CCW Permit. 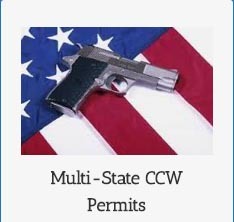 CCW Permit Instruction provides ALL of the services you need in order to complete your California CCW Permit Application Process. In Orange County, we can also provide you with the Live Scan Fingerprinting that is required for your CCW Permit Application. Ventura County, Fresno County and Madera County provide Live Scan Fingerprinting at their respective Sheriff’s offices. CCW Permit Instruction provides the highest quality 16-Hour CCW Permit Instruction Course, AND the highest quality 8-Hour CCW Permit Instruction Course, that is required by the Orange County Sheriff’s Department. In Orange County, you can choose to take an 8-Hour CCW Permit Instruction Course, or a 16-Hour CCW Permit Instruction Course. We also offer the 16-Hour CCW Permit Instruction Course that is required by the Ventura County Sheriff’s Department. We also offer the 8-Hour CCW Permit Instruction Course that is required by the Fresno County Sheriff’s Department and the 8-Hour CCW Permit Instruction Course required by the Madera County Sheriff’s Department.